Thank, you! Looks awesome :) ! Now, to work! Would it be possible to paint my knights with black and white? Kinda like Black Templars. Really like to ask about guns (muskets) to be implemented to this game? Like I gave some suggestions if you want to check that out. I mean, now Bow has bigger range and can shot twice, but crossbow have more damage and cost only 2AP for shot, then you can swap weapons. So What the idea of Guns? Hey, I really appreciate the effort, but I try to stick to art related topics as much as possible in here :) Even though I myself deviate from time to time …. For me, the biggest upset is that we always fight on the same map, and this is like a simple chess board. I critically lack the feeling of being surrounded (and I don’t even dream about dungeons). Couldn’t the Battle Brothers have something like that? Wood / stone texture for hexes and we get a wall for the camp or settlement ..
And combine walls and watchtowers to get a fortress? ..
-1 height level for water, or even maybe 3+ height level, but keeping the max hit chance at 30% for a difference of more than 3 levels, then we could imitate fortifications on a hill or surrounded by a moat .. Banners No. 4 (lion) and No. 10 (sun) are also very similar to each other when it comes to color, it has always annoyed me. Missing in the purple and orange color palette. The wallpaper gives me hope for even more customization options, hehe. 1. If you find the time/find it in your big heart…. 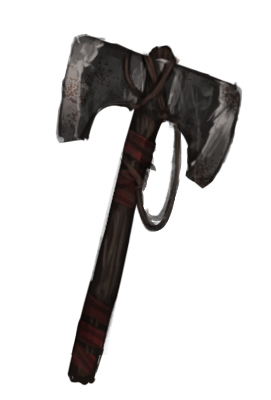 can you make Zweihander helmet paintable using the art assets already available? Colour schemes are pretty much covered. Blood Red colour is only new issue. what you are showing would be an easy solution and it might even work technically speaking. Nevertheless the “buildings” created with these tiles would look pretty strange. This would be comparable to the hills we have in the tactical combat. We can just barely get away with that look, but constructing entire buildings like this would not work visually – at least in my opinion. Missing in the purple and orange color palette. We won’t add a new body type, there is just no room for more muscles under the armor in the layered system we use. BUT we will add new customization options. You’ll have to wait till shown in one of the next devblogs though. Also want to ask how to open .brush files? Maybe horse only in specific starting band, with the Knight errant (band of 6 nobles). Honestly I have no idea. I only wok with PSDs, PNGs and JPGs of course. Never say never, but I don’t think so. We are expanding the Battle Brothers universe in different directions, but we try stay within certain boundaries. One boundary is the (very rough) visual time frame and the restriction to infantry combat. The reason against too much late medieval period gear is to maintain a consistent look throughout the game. The reason against horses is actually only gameplay related. We explained on several occasions how horses would break the basic way the tactical combat works. Wolfriders are an exception as they move very differently to horses and are more of a “fantasy style enemy” compared to the more realistic human fighters. I just found such files in game data. As I understand this files contain sprites, but it’s not zip-package. How you upload new images in game or it’s not your part of work? So, do you know name of this sprites? What kind of locations is it for?